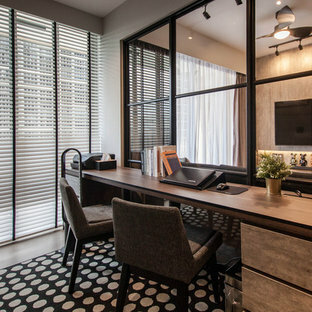 A home office isn’t a mere luxury anymore. 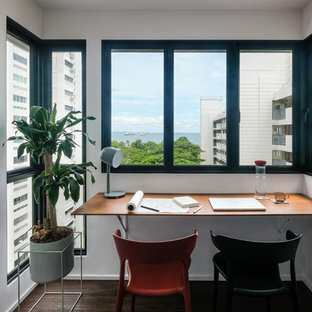 With more and more people bringing work home, and some working entirely from home, the humble study room of old has taken on a completely new face. No longer reserved for a tiny corner, a study table and office chair, complete with storage, can be worked into your kitchen, living room or have its own dedicated space. Here, you can sort bills, mail and store important paperwork, while children can use it to do their homework or play a game. 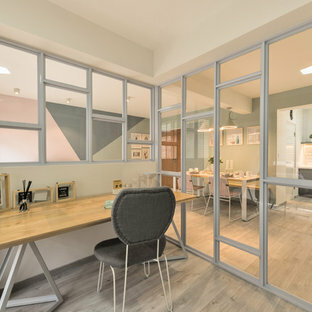 Browse the home office photos on Houzz for ideas and inspiration on how you can comfortably fit a study into your home. How do I choose an office table and chair? If you spend long hours hunched over your computer table at home, invest in an ergonomic chair with wheels for better back health and comfort. Consider optimal lumbar support with flexibility in adjusting handles and back angle. Most rolling office chairs come upholstered, typically in leather, but that’s no reason why you can’t have one custom-made to suit your home decor. When picking out your office table, be sure to consider its overall function. If you work from home and hold meetings, pick an oversized, sturdy desk that is double-sided (can be accessed from both sides). 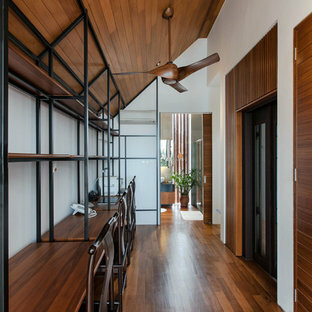 You’ll want it to look professional, so opt for dark timbers over high-shine finishes. 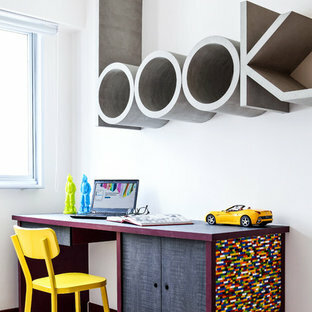 It’s also a good idea to create a separate study table for the kids, so homework doesn’t go missing among your files. 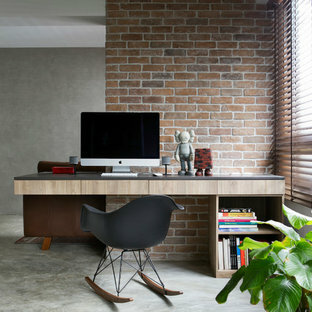 If your home office is for the whole family, a two-person desk or built-in long work bench are more suitable. 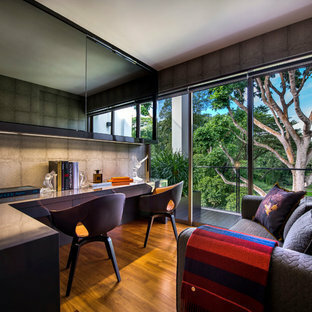 Where space is tight, look for a retractable computer desk, or utilise an awkward corner with a corner desk. To ensure your home office or study room isn’t buried under paperwork, books and supplies, incorporate plenty of shelves, cabinets and drawers. Floating or built-in shelves with cubbies can stock books and magazine holders; or for a more traditional look, make room for a large bookshelf that fits in with the decor of your home. Invest in a filing cabinet to store paperwork, and opt for a lockable filing cabinet if you have sensitive documents. A tray organiser can store incoming mail and will help prioritise bills. 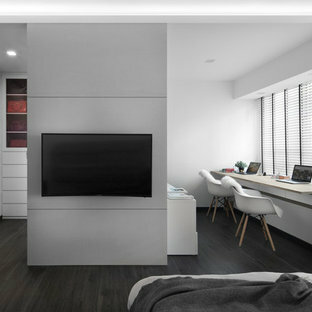 How do I decorate my study?